This stuff costs $1.99 for a gallon. That’s less than a gallon of milk. See the prominent label on the front for “100% DV vitamin C”? The manufacturer wants you to believe this drink provides something valuable. Truth is, vitamin C isn’t very hard to get from actual food. Kids ages 4-8 can get their entire day’s supply with about three medium strawberries. The flavor is called “Green Berry Rush” and the label shows fresh strawberries and kiwi. But there are no strawberries or kiwi in here in any form. Though it contains some fruit juice concentrate and fruit purees, it’s actually just five percent fruit juice. 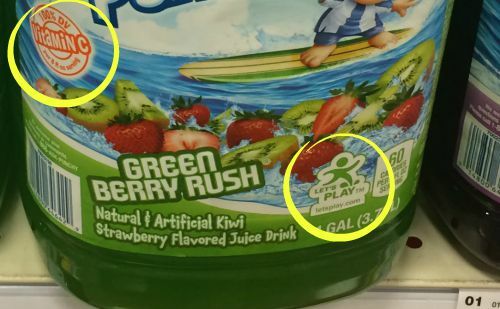 The “Let’s Play” icon on the front label gives the impression that the drink is great for active kids. The icon actually represents an initiative from the Dr. Pepper Snapple Group to help families “make physical activity a daily priority”. It’s a strategy used heavily by the beverage industry to shift the talk about obesity away from sugary beverages and onto sedentary lifestyles. Coca-Cola does it. Pepsi does too. They want you to believe that the real reason so many adults and kids are overweight and obese is because they don’t get enough exercise–not because of what they eat and drink. 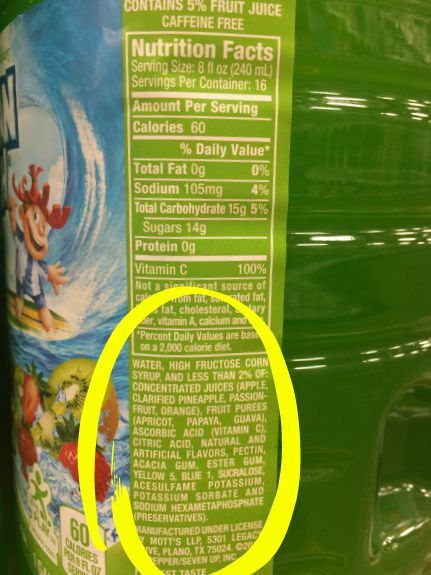 The ingredient list is a hot mess: The second ingredient (after water) is high fructose corn syrup. It also contains artificial flavors, two kinds of artificial food dye, two kinds of preservatives, and two kinds of artificial sweeteners (which is why they can boast “60 calories per serving” on the front). These brightly-colored bottles are positioned right where they can catch the eye of your young child, who will then ask you for some. More than once. At least that’s what the company is hoping. This kind of packaging (fun colors and cartoon characters! right at a child’s eye level!) and marketing (high in vitamin C! 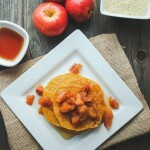 low in calories!) is deceptive and irresponsible. And this kind of cheap, artificial food and drink is a real problem in our society. Childhood obesity has doubled in the last 30 years, and kids are developing diseases and conditions like diabetes, hypertension, and metabolic syndrome that used to only strike adults. Can we please stop marketing the worst kinds of fake food and drinks to the most vulnerable? Don’t our kids deserve better than this? YES, our kids deserve WAY better than this. Tans my hide and makes me sad. 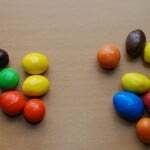 Thanks for pointing out the deceptive marketing practices of so many food companies. It’s easy to get lured by their clever tactics. I cannot agree more with this post! I would like to think we, as parents, can prevent this junk coming into our house. But this type of marketing is everywhere! And the worst part is some parents will fall for it. “It’s got Vit C, it’s got to be good for you.” Although, some healthy food items are starting to be marketed to kids as well, like cartoon characters on baby carrot packages. 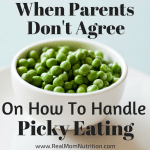 Its a parents job to educate our kids and set a good example about what kinds of foods are healthy and what foods should be reserved for an occasional treat. Great post! Thanks Julie! I like when I see cartoon characters on fresh veggies or fruit. I know some people don’t think young children should be marketed to at all, but I think Minions on banana labels creates a positive association that’s ultimately helpful and healthy for kids to have! Ok, let’s all take a deep breath. I’ve seen worse food labels before. We once were told to freak out over high fructose corn syrup but that nonsense was debunked long ago. I know there are 100% fruit juices out there but on a per gallon basis you’re looking at between $4 and $6 instead of the more affordable $1.99 you mention. So there’s some jazzy coloring added and, yes, kids like that sort of thing. It’s not killing anyone. I like the fact that kids will enjoy a refreshing snack of this without whining and picking and pouting. They get a small glass once a day after playing (and that play exercise is important, I don’t care what any of you say) so it isn’t like they are guzzling down the whole gallon for Pete’s sake. I think you all need to chill. Sure these companies sell what kids like because that is their market segment. 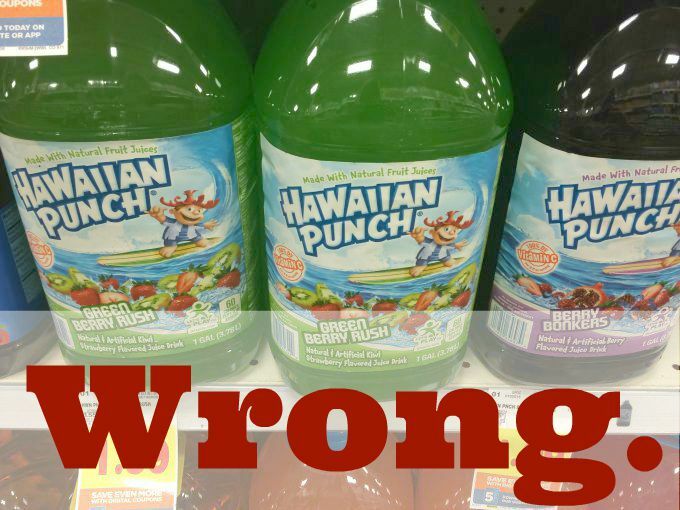 If kids and parents really wanted some bland gassy liquified veggie glop in a nice shade of diarrhea green, well then that’s what would be on the store shelves beckoning you to buy it. All this rancor over a trip to the store is over the top. If you are not fooled by the packaging and I am not fooled by it then who is being fooled to death by it? Aren’t you just assuming other people are too stupid to read the label and too impulsive not to drink the whole thing at one sitting? I don’t know anyone like that, do you? Honestly? Relax, enjoy the summer, get the kids outdoors and keep them hydrated. Water when they will drink it, a little treat of fruit drink once in a while too. “Water when they will drink it” – this is exactly why I think Sally is right here. If you step back for a second, the fact that we would even say those words is a bit bizarre. How could a human being NOT drink water? But a lot of kids these days pretty much won’t. If you regularly give your kid sweet drinks to “hydrate” them (whether it be real juice or fake juice like this or “sports drinks”), odds are your kids will tend to reject water, because they’ll be used to drinking for a hit of sweetness rather than drinking because they’re thirsty. Odds are, when they’re 25, those kids will routinely drink soda rather than water. Also, as you point out, juice is expensive and sugar-water is cheaper. Water is cheaper still. I couldn’t agree more!! These types of things make me so angry. I find that marketing on TV is even worse to children. As a new mom, I have to be aware of the advertising ploys, because they are everywhere. These labels are soo misleading, and many parents who aren’t as education in nutrition, will buy these products because of the label and whats being advertised. They rarely look at the ingredient lists. Yes, it is obnoxious that garbage foods are marketed to children, however, it is our jobs as parents to be educated and to educate our kids about this issue. There are many many juices out there that are not covered in cartoons or marketed to children that are also not even juice. So the problem isn’t just simply that these foods are marketed to children, they are marketed to adults as well. SO. READ LABELS! When walking down the juice isle with my daughter at the store and she asks for a specific type of juice, I pick it up and look to see if it says 100% juice on it. If it doesn’t, I show her that it is not really juice, then help her to find one that is 100% juice as an alternative. She is six now and we have been doing this a while, and some of the time when she wants a juice, she will ask, “is this 100% juice?” Before she even asks if we can get it. Yes. Every now and again we get unheathy stuff for treats, but I make sure mg daughter knows it’s a “treat” and not real juice, or cereal etc. and that she must drink lots of water with these items. Teach your kids to make good choices, and help them! There will always be obstacles that make things more challenging in all areas of life, aways temptations, and scams. Awareness and tactful decision making is a life long skill. So use this marketing flaw as an opportunity to inform your kids about making healthy choices. This is stupid, in my personal opinion. We can all look at this our selfs and read it. Don’t hate on a business that has tried hard. If you have a problem with their drink talk to them.